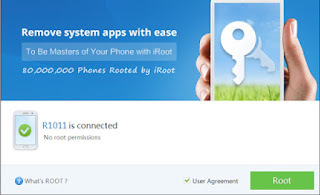 How to install CWM and root OPPO Joy Plus R1001 – Now finally we know that OPPO Joy has 2 types, they are OPPO Joy R1001 and OPPO Joy Plus R1001. Even though we don’t know the difference between both, because we are not going to discuss their difference. Some information we know that this phone has 4.0 inch wide screen using IPS LCD capacitive touchscreen technology, with 16M colors. We’ve created and posted an article to root OPPO Joy R1001 in the last article, but we didn’t guide it to install CWM, but in this article we are not just going to root, we would like to guide you to install CWM on OPPO Joy Plus R1001. Install CWM R1001 or install CWM OPPO Joy R1001 are quite easy. We’ve concluded it in this article with detail explanation to helpyou catch it easier. The people from Indonesia are the creatures who have many result for searching this article. As you can see on search engine it has many Indonesian keywords related to OPPO Joy Plus R1001 such as cara install CWM OPPO Joy,install CWM di OPPO Joy, cara install CWM OPPO Joy R1001 or cara install CWM di OPPO Joy. All the point means they want to install CWM and root OPPO Joy R1001. From the keywords above we can guess that there are many Indonesian people who have this phone. Download VRoot application we’ve provided in this article! 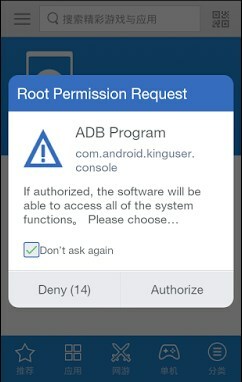 If on VRoot application (on your display phone) appears as the following picture, click Authorize! 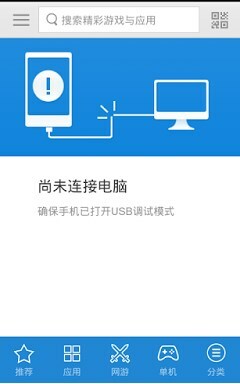 Download Recovery, Mobileuncle MTK Tools and SuperSu application we’ve provided in this article! If there is a pop up, click yes! If there is another popup just reboot it into Recovery mode, click Yes! You don’t need to worry if there will be a blank screen with a little display before it will go into Recovery Mode or CWM. 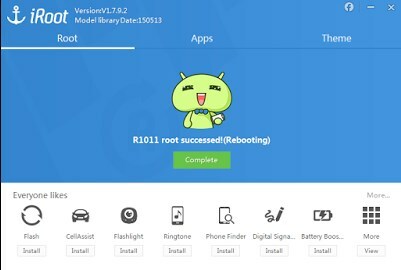 Belum ada tanggapan untuk "Installing CWM and Root OPPO Joy Plus R1001"